Bank Negara Malaysia, as the nation's Central Bank, is committed to excellence in promoting monetary and financial system stability and fostering a sound and progressive financial sector, to achieve sustained economic growth for the benefit of the nation. Bank Negara Malaysia also places high importance in its developmental role with respect to economic management, institutional building and the development of the financial system infrastructure. 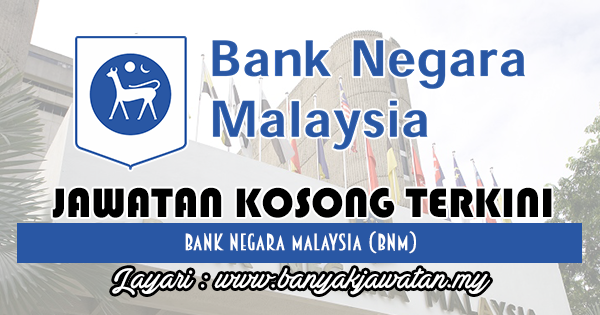 0 Response to "Jawatan Kosong di Bank Negara Malaysia (BNM) - 22 Disember 2018"